Now that I have moved into my new house, I had the go-ahead from my better half to decorate my office in any way I see fit. As such, I decided, it will be the geekiest decoration I can conjure up. 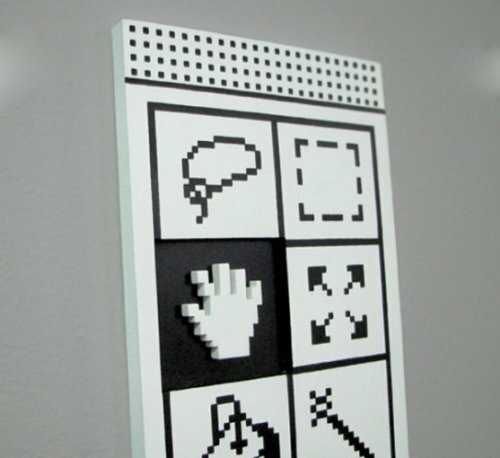 That led me to searching for some fun, geeky wall art that would help lighten up my currently drab office. If you have some wall space to burn and don’t mind getting some funny looks from your non-nerd friends, here are some pieces you should consider for a wall near you. I can’t think of any video game fan who wouldn’t enjoy a game stitch artwork that harkens back to the day of classic Zelda. My wife absolutely adored the original game, and this stitched art from SpriteStitch helps to keep that memory alive. 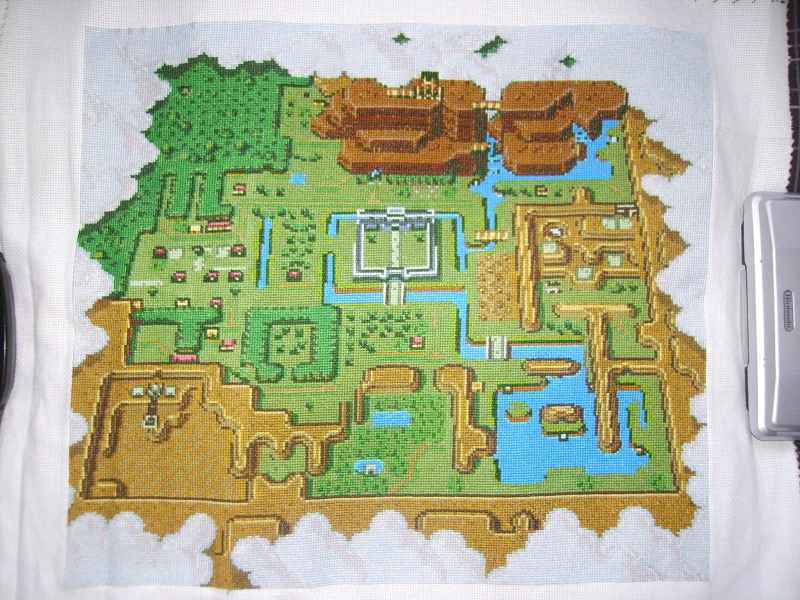 This Zelda Map stitch measures 36.5cm by 32cm and took 4 months to create. This would be incredibly easy to frame and subsequently hang in my office, thus reminding all of my visitors of the glory that is the land of Hyrule. Assuming they actually recognized it without the Zelda logo on there somewhere, anyway. If someone asks you to think about all of your favorite villains from the 1980s’ era, chances are there are plenty that will come to mind. From Voltron to the original Transformers series to the Centurions, there was no shortage of badly written cartoons from that time that we all knew and loved. 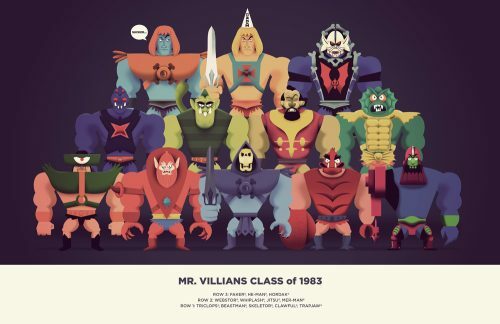 This Mr. Villains Class of 1983 poster shows us all of our favorite evil characters from Masters of the Universe. Starting from the top, we He-Man with a silly cap on, Faker, and Hordax. The second row includes Webstor, Whiplash, Jitsu, and Mer-Man. The last row includes Triclops, Beastman, Skeletor, Clawful, and Trapjaw. Wow, it has been awhile since I watched the show, because I only immediately recognized about half of the villains on the poster. Time to fire up one of my He-Man DVDs. While I am no graphics designer, even I need to fire up Photoshop to touch up some images here and there on occasion for my publishing. As such, I am fairly familiar with the Photoshop commands, and I would be happy to have a piece of wall art that depicts them and all of their glory. Well, someone has met that need with this Photoshop Command Wall Art. The piece does a great job of bringing these buttons to life. If they look a little different than what you are used to in your own Photoshop version, this replica actually uses the original buttons from the very first set of tools ever created. If you are curious about the year, Photoshop was originally born in 1989. That’s a seriously old software package for something that is still very commonly used today! The board is a silkscreen print, with the hand being cut out to make it look as if it has been selected. Great stuff. Few activities can provide the same nostalgic feel of playing the original version of classic games like Pac-Man and Donkey Kong. 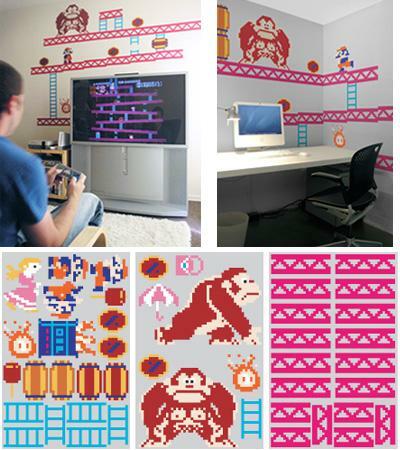 With these Donkey Kong Wall Graphics, however, you can set the original game up all over your office or local cubicle. The set comes with 42 movable and reusable decals, and they are made from blik “Re-Stik,” so you can take them off and move them around as much as you would like. Now my office can look exactly like a 1980s’ arcade machine! Sweet. I’ll be honest, I never really got into Tetris. Competing against an endless number of levels while stacking blocks for score alone wasn’t really all that appealing to me. Yet when I played Tetris for the N64, and discovered multiplayer mode, all of that changed. Now, I play Tetris with my friends all the time, frantically trying to feed them lines of garbage until they bust out. 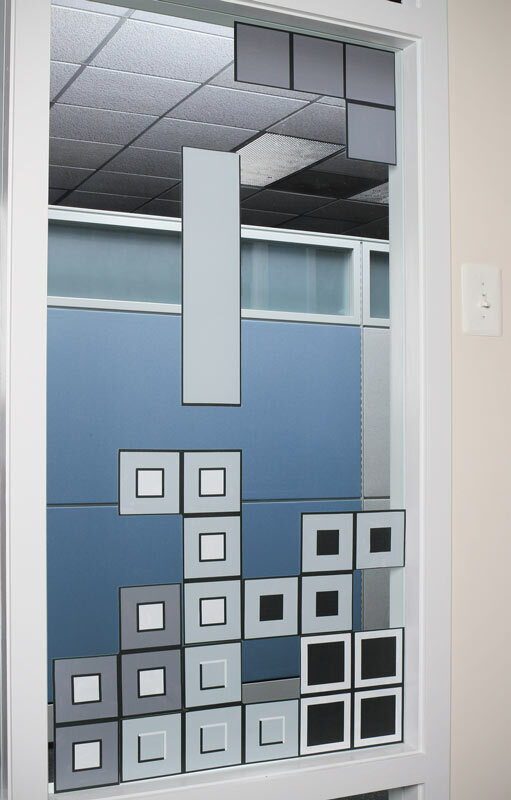 These Giant Tetris Wall Graphics help display the grand spirit of the classic NES game in style. The wall clings do not damage surfaces, so you can put them up just about anywhere. Each square is a high resolution black, gray, or white piece. All you have to do now is get to building.